The second poster shows Vivek Oberoi resembling the titular role, donning an all white, with the new release date at the bottom. Earlier slated to release on April 12, ahead of Lok Sabha 2019 elections in May, the NaMo biopic, PM Narendra Modi has now been preponed and will hit the cinema screens on April 5. The Vivek Oberoi starrer will then clash with John Abraham‘s RAW-Romeo Akbar Walter at the Box Office. Sharing the second poster of the movie with the latest news, Indian film critic and trade analyst Taran Adarsh wrote, “New release date… #PMNarendraModi will arrive one week *earlier*: 5 April 2019… And here’s the second poster of the biopic… Stars Vivek Anand Oberoi in the title role… Directed by Omung Kumar B… Produced by Sandip Ssingh, Suresh Oberoi, Anand Pandit and Acharya Manish” (sic). 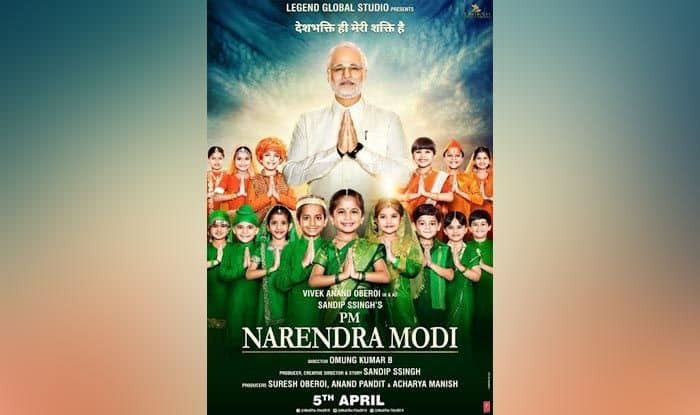 New release date… #PMNarendraModi will arrive one week *earlier*: 5 April 2019… And here’s the second poster of the biopic… Stars Vivek Anand Oberoi in the title role… Directed by Omung Kumar B… Produced by Sandip Ssingh, Suresh Oberoi, Anand Pandit and Acharya Manish.